​​Dr. Okawachi was born and raised in Northern California. He has been serving the pediatric dental community in private practice in Anaheim for over 30 years. Besides private practice, Dr. Okawachi is also involved in organized dentistry. He is a past President of the Southern California Unit of the American Society of Dentistry for Children, the USC Pediatric Dental Association and the California Society of Pediatric Dentistry. He currently is a Trustee of the Western Society of Pediatric Dentistry. 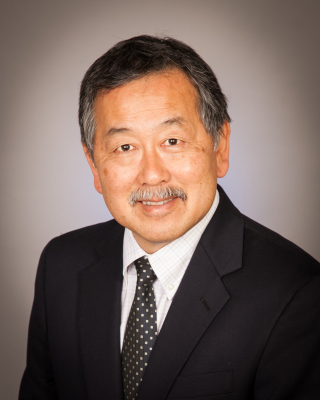 Dr. Okawachi is on faculty staff at Miller Children's Hospital at Long Beach Memorial Medical Center and holds active staff privileges at Children's Hospital of Orange County. He is also on staff at La Veta Surgical Center in Orange. 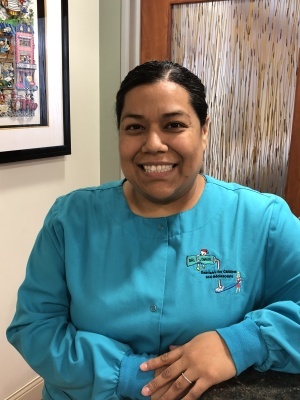 He is a clinical instructor at USC and has been supervising the pediatric dental residents of USC at the Children's Dental Health Clinic located in the Miller Children's Hospital in Long Beach since 1999. Dr. Okawachi is a board certified Pediatric Dentist. He is a Diplomate of the American Board of Pediatric Dentistry, a Fellow of the American Academy of Pediatric Dentistry and a Fellow of the American College of Dentists. Herman Ostrow School of Dentistry of USC D.D.S. I am Gaby and I am Dr. Dave's office manager. I am here to answer all your questions about the office. I enjoy interacting with and helping the parents, and love seeing all the happy children here to see Dr. Dave. There's never a dull moment with all the cute things our patients do and say. In my spare time I love spending time with family and friends. 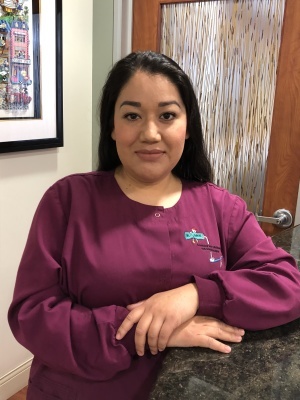 I am Adriana and I'm a Registered Dental Assistant. I've been with Dr. Dave since 1998. When you call our office, more than likely you'll be talking to me. 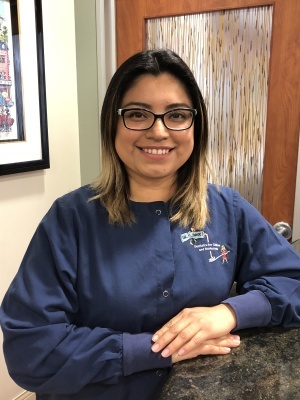 I'm here to help you schedule appointments and answer your treatment questions. The thing I enjoy most is seeing our patients enjoy their dental visits. In my spare time I enjoy spending time with my family and doing crafts. My name is Sanjuana and I'm a Registered Dental Assistant. I've been working with Dr. Dave since 2001. I really enjoy talking and listening to our patients. I love listening to their stories and answering their questions. I enjoy spending my spare time with my kids. 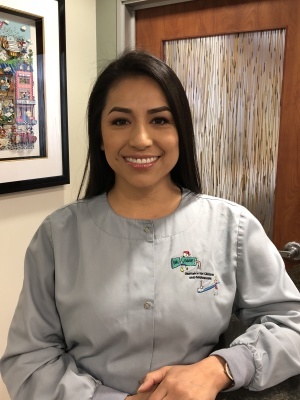 ​My name is Brenda and I'm a Registered Dental Assistant. I've been working with Dr. Dave since 2001. I love challenges and working in our office that caters to children is a challenge I enjoy. In my spare time I enjoy fitness activities. My name is Elizabeth and I'm a Registered Dental Assistant. I've been working for Dr. Dave since 2002. What I enjoy most is the teamwork within our office so we can provide an enjoyable experience to our patients. In my spare time I enjoy travelling with my husband.